A recent study indicates Oklahoma ranked second in the nation for prevalence of Hepatitis C (HCV). Health officials say they believe a significant contributing factor is injection drug use being seen in the state’s opioid epidemic. 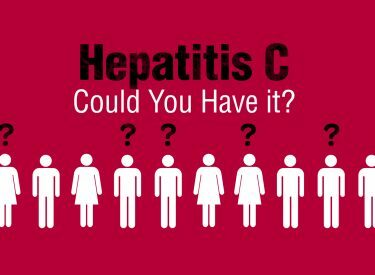 The Centers for Disease Control and Prevention, in collaboration with several universities, analyzed data gathered during a national survey conducted from 2013 to 2016 as well as other studies used to estimate the number of Americans living with HCV. There are approximately 2.4 million adults estimated to be living with HCV in the United States, with Oklahoma estimated to rank second at 1.82 per 100 population, behind only the District of Columbia at 2.34 per 100 population. In addition to this study, data collected by the Oklahoma State Department of Health and other state public health officials indicate the number of new cases of HCV is on the rise. The CDC estimates more than 41,000 Americans were newly infected in 2016 alone. A major contributing factor to the high occurrence of HCV is the sharing or re-using of needles when using injection drugs such as opioids. Opioid injection and HCV increased dramatically in younger Americans from 2004 to 2014. Among people aged 18-29, HCV increased by 400 percent, and admission for opioid injection by 622 percent. Those aged 30-39 saw an increase of HCV by 325 percent, and admission for opioid injection by 83 percent. It is important for those who use injection drugs to understand their increased risk of contracting HCV through shared needles. The cure rate is improving and reducing the length of treatment from a year to three months. However, the wholesale treatment cost for new cases ranges from $417 to $1,125 per day.